US equity indexes closed somewhat mixed, sp +1pt at 2477. The two leaders - Trans/R2K, settled +0.3% and -1.1% respectively. 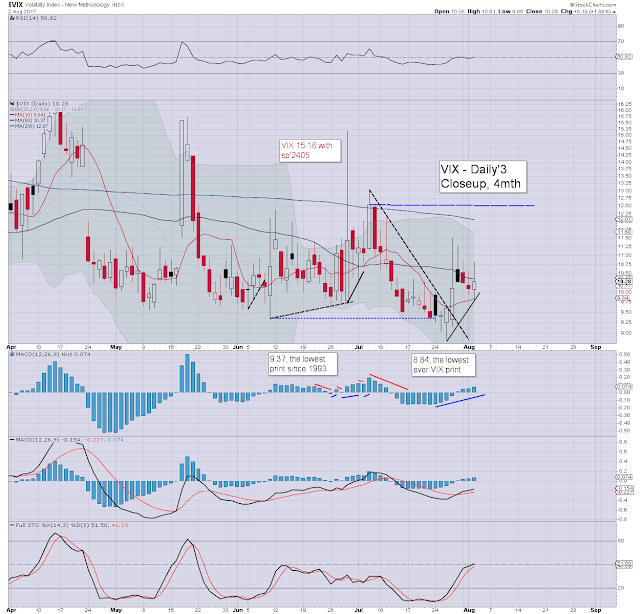 VIX settled +1.9% at 10.28. Near term outlook offers further weakness to the upper end of the 2435/25 gap zone. 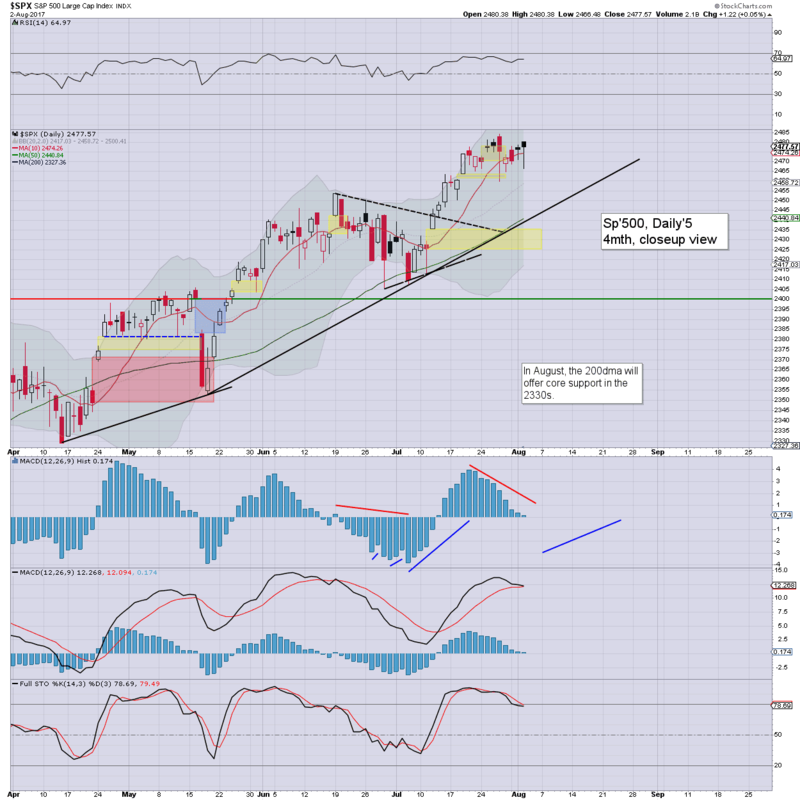 More broadly, the 2500s remain a given by mid September. US equities opened a little higher, and it was enough to see the Dow push above the soft psy' level of 22k, which naturally caught a fair amount of mainstream attention. Yet, there was an opening reversal, with the sp' cooling to 2466. A latter day recovery saw the sp' close fractionally higher. Note the black fail candle, which is the fourth of the past seven trading days. I can't recall any such previous situation. 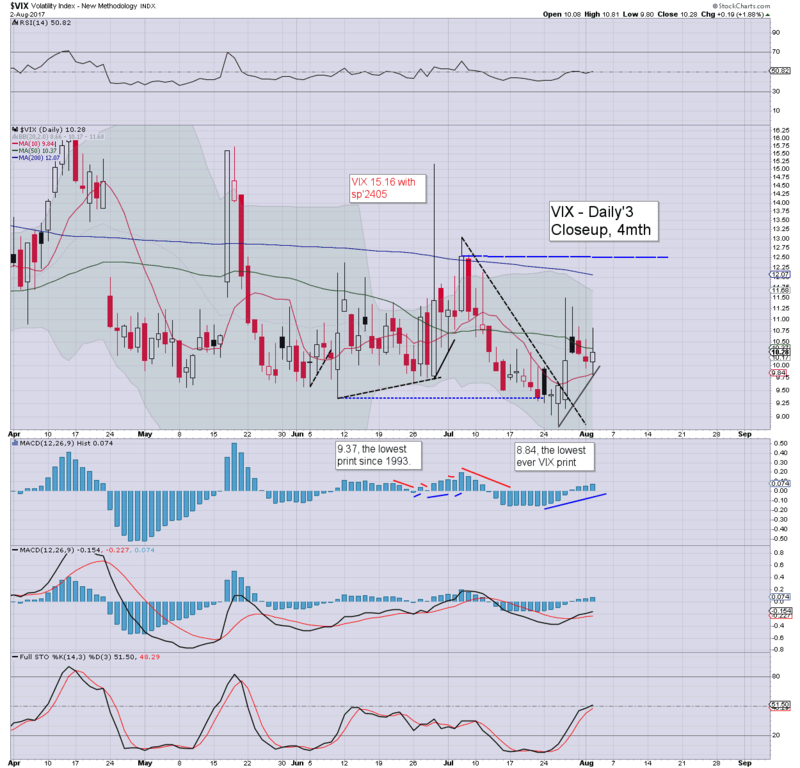 Market volatility remains subdued, but the VIX did manage to settled outside of the 9s. Near term outlook remains entirely unchanged, a brief fall to sp'2435 - with VIX 12s, before resuming upward. It sure is taking longer than expected. The repeated opening reversals and daily black-fail candles are very much supportive of the outlook.